One thing I can safely say that I do not do, is live a minimalist lifestyle. 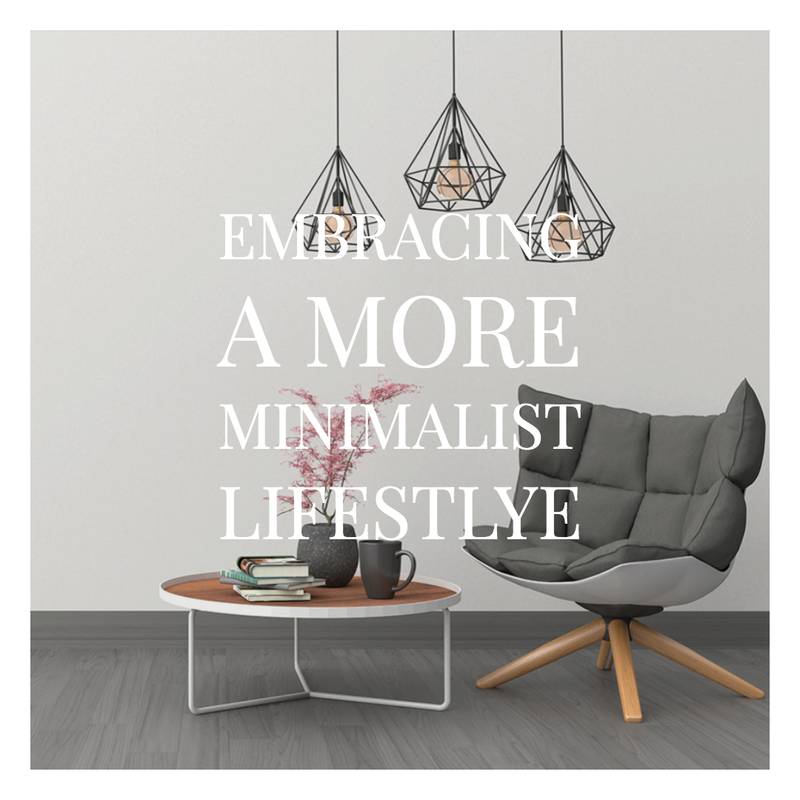 I've been reading more and more about how a minimalist approach to life can help with keeping a clearer mind and how it can help you live a more meaningful life with less. This can be applied to a great many things in life such as relationships, finance, clothes, possessions and so forth, and how you respond to this change can also have many different outcomes. In my case, I feel it's something I want to do with the "things" in my life such as clothes, makeup and having stuff etc. I don't really have a splashy lifestyle (as I can in no way afford one!) but I do have a tendency to occasionally let my feelings be altered by what I have and don't have. I blame some of this on what I allow myself to see and indulge in online and on my own brain being affected by the things I've been shown. Typical consumer? Yeah, I think that's me sometimes. So I know I don't spend a whole lot of money on stuff, as like I said, I don't make a lot of money, but what I do want to really think about, is the things I am buying. Less stuff means less debt and therefore more money. All it takes is a shift in perspective to realize that maybe that new phone, expensive jacket, or whatever it may be is just not that important. 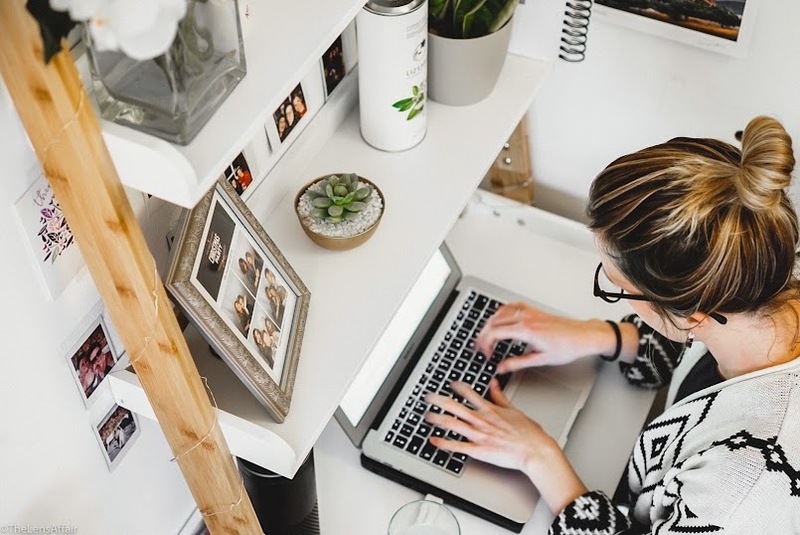 Viewing these expenditures as unnecessary can stop you from feeling like you need them in your life, and this simple shift can save you a lot of money. I suffer quite badly with stress and I tend to feel quite overwhelmed fairly often. I feel that having fewer possessions will mean having fewer things to worry about; I'll not only have less stuff to pay for, but I'll also have less stuff to take care of! (except my gorgeous plants) This especially applies to my wardrobe. 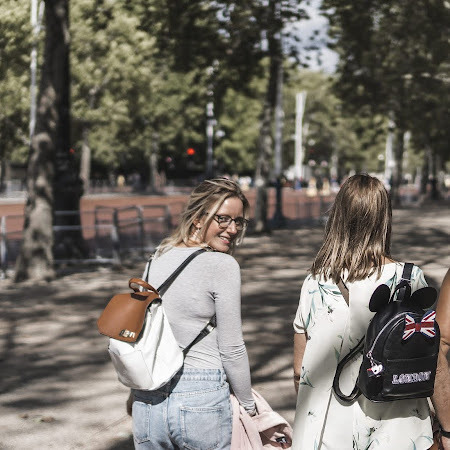 I often see people on instagram or my fellow bloggers, and wish that I had their style, their jeans, shoes etc and actually, if I have a look in my cupboard I pretty much have those things already! I just need to de-clutter from all the crap I don't wear or even really like anymore (I'm just so bad at chucking stuff away. What if I NEED it one day. 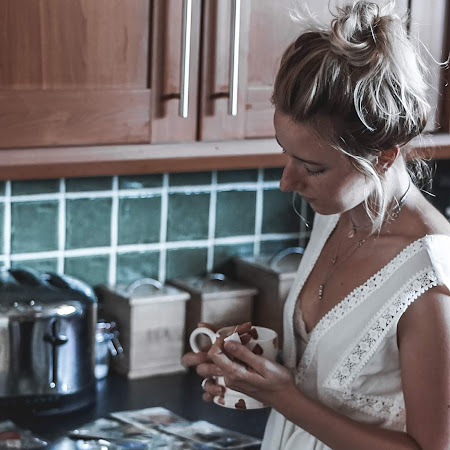 Spoiler alert: I won't) We all know how great it feels to have a clean space that is free of clutter, and the fewer things you have, the easier this is to achieve. My life will feel much calmer with less stuff in the way I feel. I want to turn to more experiences instead of purchasing goods such as adventures, concerts, and traveling. That experience will likely bring me more hours of joy as I look back on the memories, compared to that floral dress I wore twice while freaking out if I was even pulling it off. 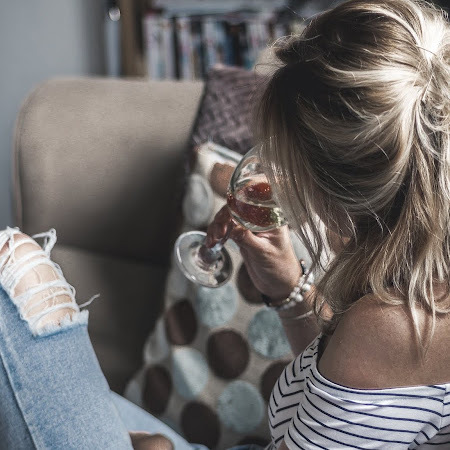 Saving for a weekend trip with friends to somewhere I've never been or just simply going out for dinner but splashing out on one more bottle of wine because the chat is flowing so well. These are things I'll hold close to me in the long run. This is just a small example of some of the things I plan on trying first. I don't want to just completely re-vamp everything in one go, as I don't think I'll respond well and end up hating my choices. I also don't think this is going to be an easy thing to do and I don't expect to just now suddenly be a minimalist because I've said I want to. It's going to be a journey and I know full well that it won't be as simple as chucking things away and suddenly feeling zen. Ultimately though, I think it's something that might be good for me. I'll try and keep you updated along the way as I give this a go throughout 2019. I'll also do a post on where I'm at now soon to show how far I've come! I'm hoping to be able to apply these changes to things like my diet and food etc once I've mastered the art of de-clutter, as I want to become more aware of my food waste and the things I'm buying and comsuming. So here's to trying something new and hoping that this time next year things feel clearer, simpler and hopefully, better and healthier! 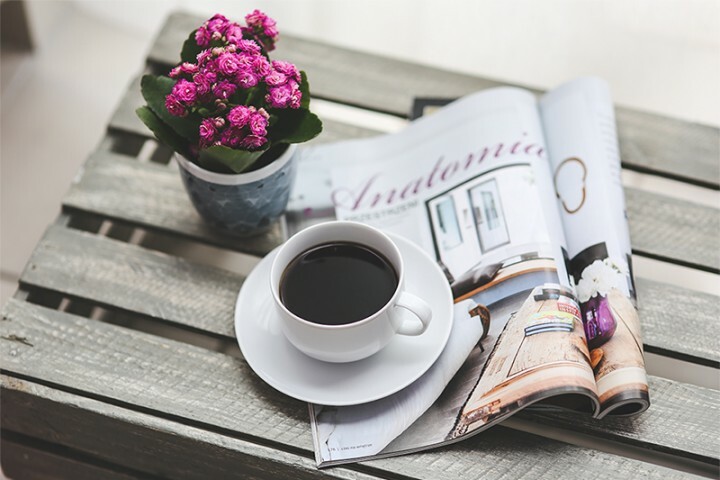 As I sat on my bed with a cup of tea in hand and scrolled through some of my favorite blogs, I started to notice a pattern emerge and a common theme with a lot of what I was reading. 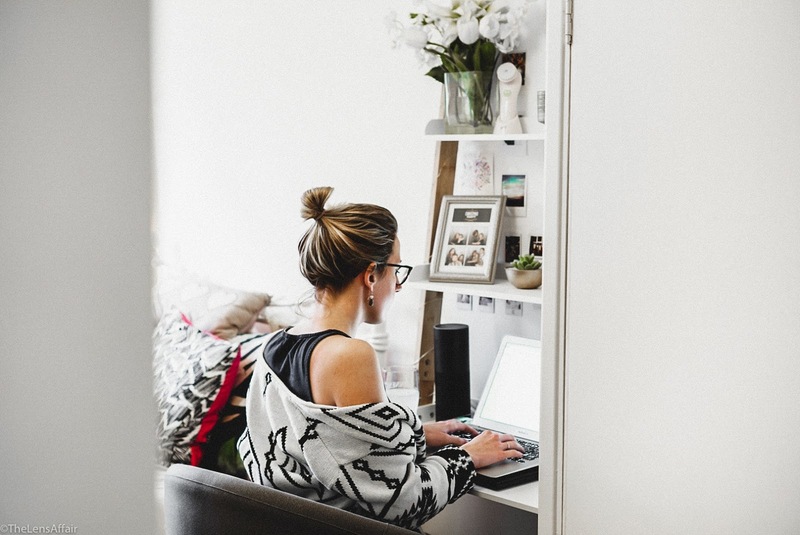 Blogging appears to be making its comeback! 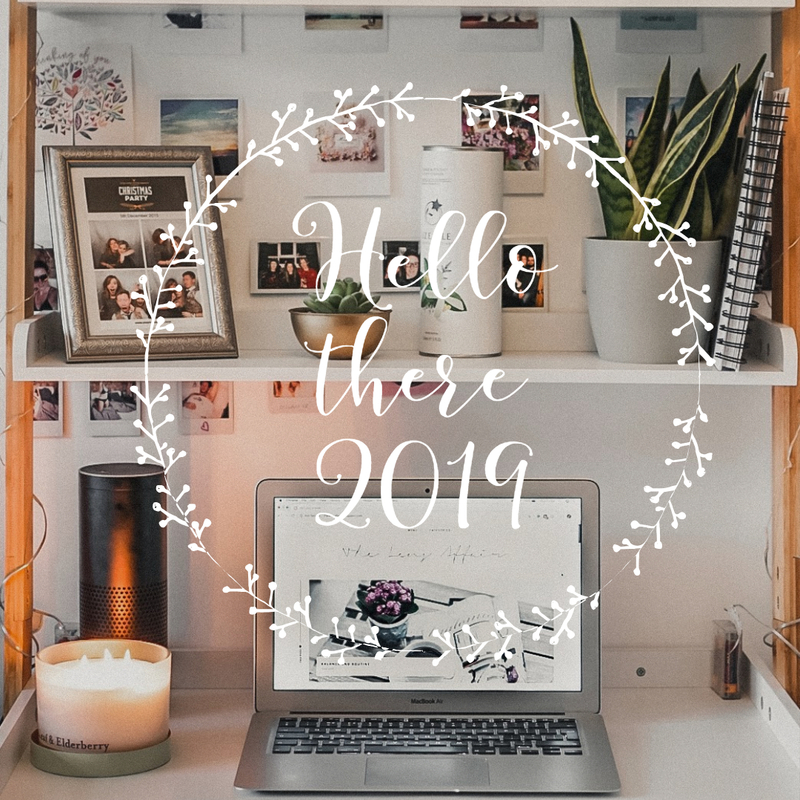 There was lots of chatter about New Years, new plans, goals and just general chit-chat about what people wanted from 2019. So much fo it was so lovely to read, and quite inspiring too, but one thing that really caught my attention is how fed up people seem to be with other platforms. 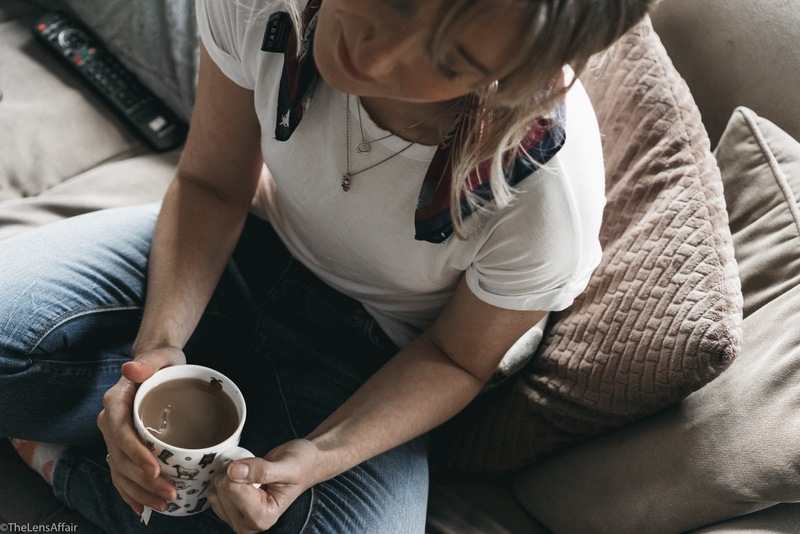 Most of the blogs I read have been around for years, some even over a decade, and are lovingly cared for by people who genuinely love the platform and who want to carry on writing and creating passionate content that they actually care about. Like so many though (including myself at times) a lot of the attention now circles around places like Instagram and Youtube, which hey! don't get me wrong, is not a bad thing at all! I love some of the content I watch on Youtube and the gorgeous content I see on Instagram, but it's starting to feel a lot less personal and a whole lot more commercial. 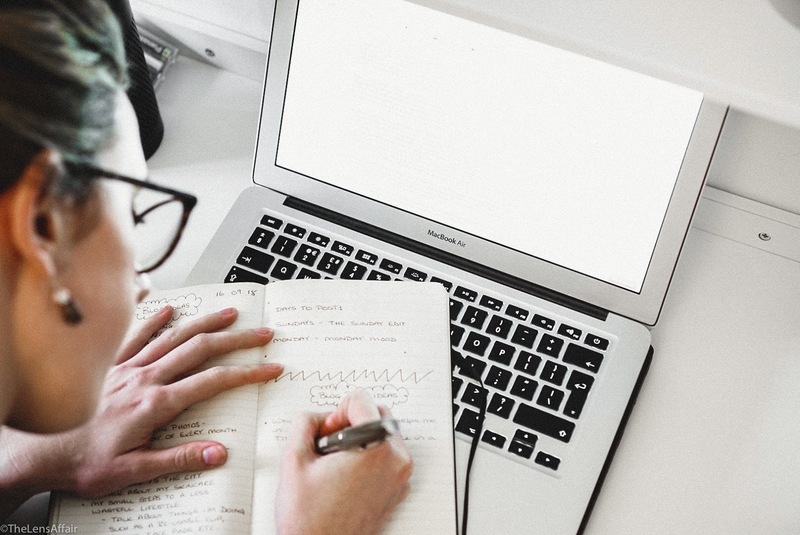 Content creators seem to want to go back their roots, get back to basics and just fill their blogs with stuff that really matters to them because they want to. Not because it's the next best thing on your Insta feed. As a Photographer, I do love Instagram, and I will still continue to use it myself as well. There are some wonderfully talented people on there showcasing exceptionally stunning stuff. Same with Youtube too, so much talent on that platform and so much passion too! But I'm enjoying that there seems to be this wave of movement which is driving people back to their blogs because I thoroughly enjoy a good blog read! I know I'll be doing a lot more of it myself this year as well. I don't want anyone to think I'm hating on other platforms or forms of expression through social media, because I'm just not. There is far too much of that in this world for me to want to add any more to it. I think I'm just getting fed up on a personal level, of the Insta game and I'm really enjoying that I'm not alone in thinking this. So whatever platform you're loving, be it video, images or writing, then I hope you find your groove with it and ultimately, I hope you find your happy place! So 2018 is done and 2019 is upon us. Without sounding too cliche, that really happened within the blink of an eye. I used to try and make lots of new years resolutions around this time, thinking that it would make me a better person and give me something to really work towards. Turns out all it did was make me miserable once I realized that I hadn't even got two weeks into the new year and I'd already sunk a bottle of red, smashed a box of cakes, not updated my brand new yearly planner and that I was already in fact, broke. Not this year though. This year, I'm going with the flow and just making it up as I go along. Instead, I have decided to give myself small little goals throughout the year that I aim to achieve. I'll take my time, do things at my own pace and when I finally achieve that goal? Well, then I can move onto the next. I am so over trying to multi-task everything I do. Don't get me wrong, multitasking is great for getting things done on a day to day basis but I just don't want to make myself sick from it! I want to spend more time behind my camera for fun and personal reasons, not just work (which I definitely started to do last year) and I also want to spend more time on my blog. This is something that I've said SO many times before, but this time I'm just taking my time with it. If I want to post, I will post and if I have nothing to say? Well, then I just won't post. Don't worry though, I won't disappear for like, 5 months this time. I'm finally feeling a little bit more of a flow with what I want to share on here lately. So what is everything else doing for New Year? Are you going to bother with anything? Or are you simply just going to take it as it comes this time around. However you're planning your 2019, I hope it's a good one and filled with more happiness than you could have asked for. We all know how much I love tea by now right? Okay good. Because it's true. Like I love the stuff. So when I received a little (actually big) box of goodies from the guys at Teapigs I got hella excited! They are a brand I very much love and whose tea I've been enjoying for some many years now. I was pretty thrilled to have received two boxes of tea that I was yet to try as well. 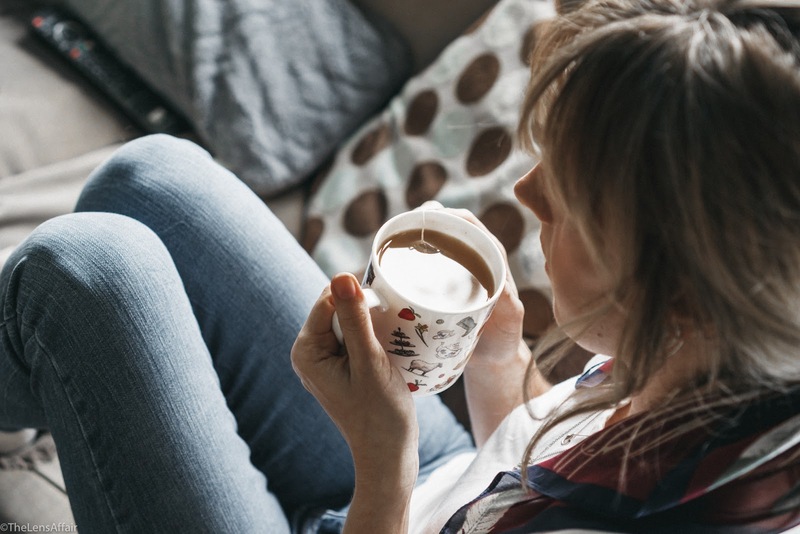 Relaxing with a cuppa after a long day is one of my favorite things to do. As is waking up with one too! However, there are days when different teas help with different kinds of days. 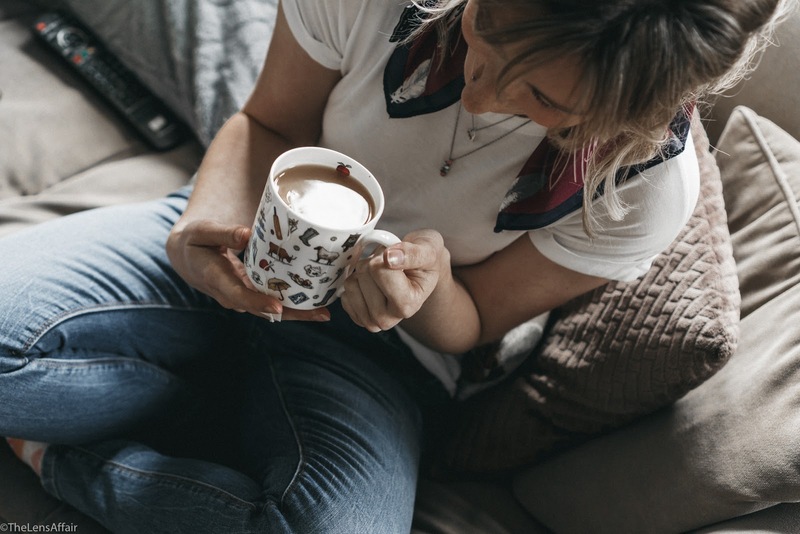 Sometimes it's a traditional cuppa I'm seeking, sometimes it's something a little fresher or something with a kick to get my brain back into gear! The teas that I've been sent all have the ability to do these things! The Lemon Balm is a perfect morning pick me up and the Apple and Cinnamon is a wonderful Autumnal addition which just makes you feel super warm inside. It also tastes just as good as it smells! 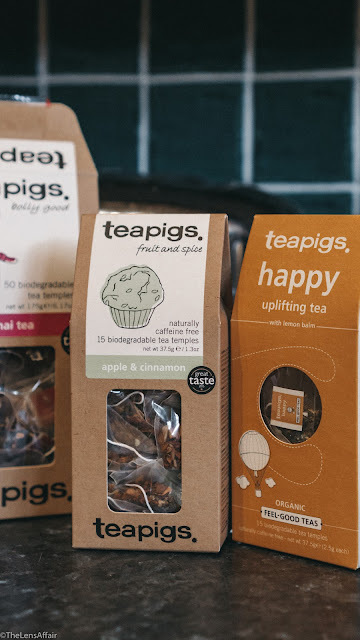 I think one of the biggest things with Teapigs that stands out to me, is their bit towards helping our planet! 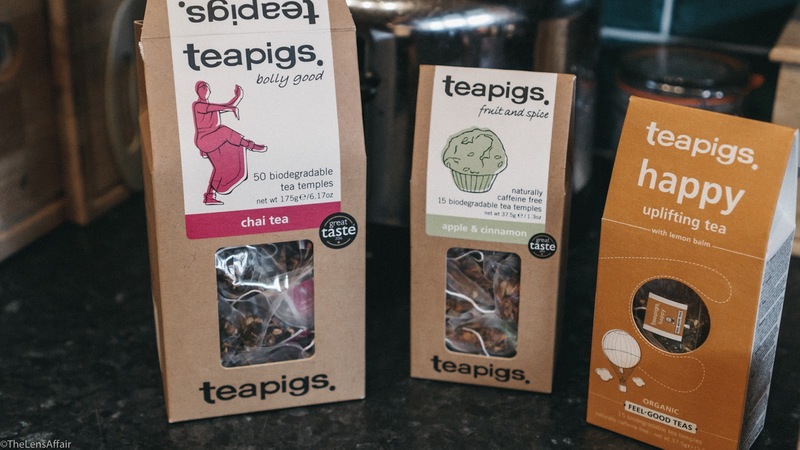 They are the first tea brand to be awarded the Plastic Free Trust Mark - meaning there isn't a shred of plastic in their bags and they are 100% biodegradable, therefore they can be tossed out with food waste. A fantastic feat in my eyes! We're all aware of the plastic pandemic upon us so it's nice to know a brand are doing their bit! Oh, come on. We ALL know it's going to be the Chai Tea. It's just SO darn good. They truly have some amazing flavors to try and you can also read up on the brand and their bit they're doing for our planet. 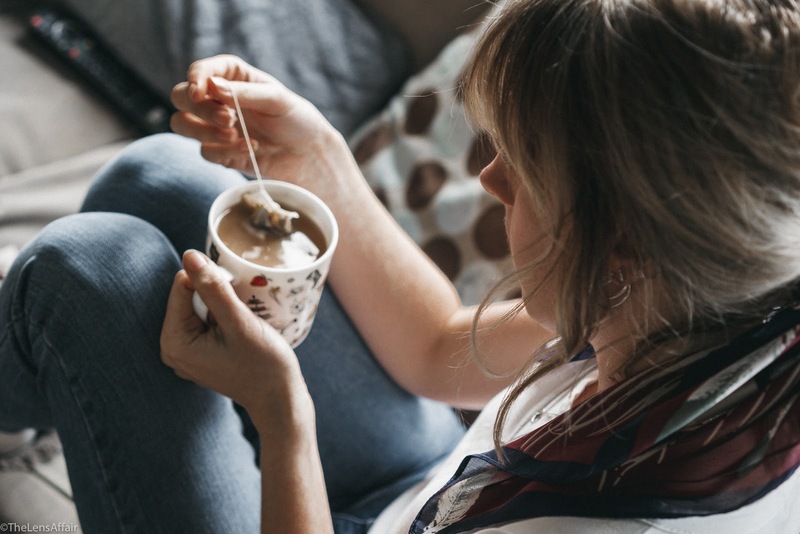 They also have a super easy website to navigate, allowing you to find tea based on your needs such as zero caffeine, various moods, and other great stuff. Welcome to the world of a 29-year-old Professional Photographer living in London. I originally hail from the West Country but made the big move to London around 6 years ago. So far it's been treating me well, and right here, is where you can follow my journey. So one thing I've never done in my 6 or so years of living in London, is actually go and see London. Because life is too short not to drink Champagne on a Saturday afternoon while watching films.